Ready for Halloween! Pumpkin Spice Scented. 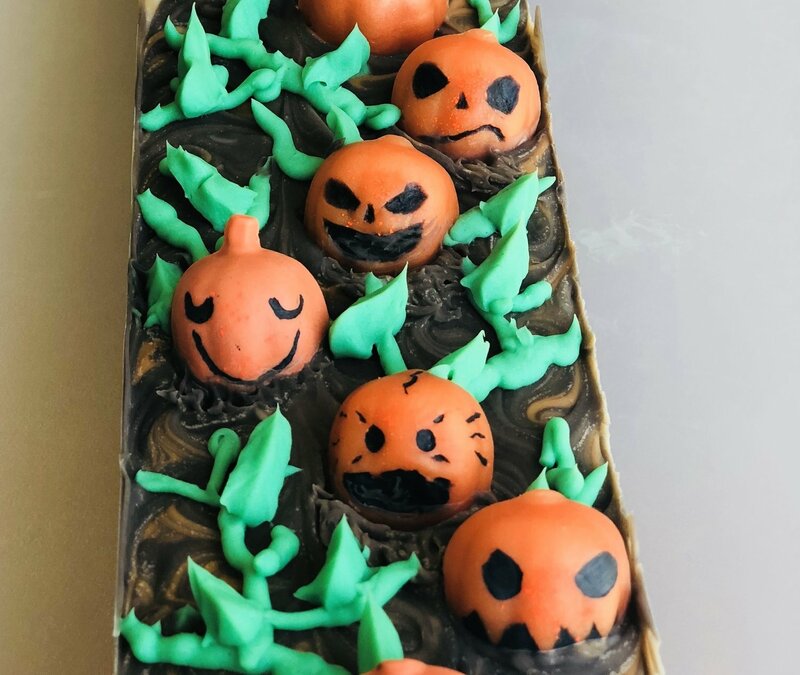 Cute Jack-O-Lanterns sitting on top! Ingredients: Olive Oil, Coconut Oil, Water, Rice Bran Oil, Sodium Hydroxide, Avocado Oil, Shea Butter, Castor Oil, Fragrance Oil and micas for color.